Elementary families, please join us for our Elementary Open House at Blake Street. Our Open House nights are an opportunity to find more about the curriculum, social emotional and academic learning, and classroom procedures. You will be able to spend time in your child’s classroom and learn about their day. Pizza and childcare will be provided. 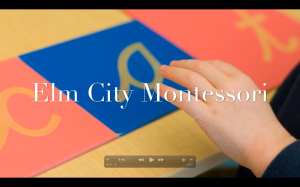 Please RSVP to info@elmcitymontessori.org so that we have an approximate head count. We hope to see you there! This entry was posted in and tagged Open House on September 13, 2018 by Heather Locklear. Primary families, please join us for our Primary Open House at Quinnipiac Ave. Our Open House nights are an opportunity to find more about the curriculum, social emotional and academic learning, and classroom procedures. You will be able to spend time in your child’s classroom and learn about their day. This entry was posted in and tagged Open House on September 11, 2018 by Heather Locklear. This entry was posted in and tagged Open House on February 27, 2018 by Eliza Halsey. This entry was posted in and tagged Open House on February 13, 2018 by Eliza Halsey. This entry was posted in and tagged Open House on February 10, 2018 by Eliza Halsey. This entry was posted in and tagged Open House on February 7, 2018 by Eliza Halsey.